Cortisol: Optygen/Rhodiola reduces the primary stress hormone cortisol. This also relates to improvements in the cortisol/testosterone ratio. With hard training, stress is increased and hence cortisol is increased. Chronically elevated levels of cortisol lead to overtraining syndrome, suppressed testosterone, poor recovery, poor sleep, catabolism of muscle and poor performance. Optygen and Rhodiola have clearly proven significant modulation of cortisol and improvement in cortisol/testosterone ratio in hard training athletes. Glucose Tolerance Factor: Chromium has been shown in various studies to modulate Glucose Tolerance Factor leading to a modulation in blood glucose. Athletes can experience a more steady supply of energy with no wild sugar swings. Adenosine Tri Phosphate (ATP) production: Studies on OptyMax (ES, PN, RR) and Rhodiola extract have all shown an improvement in Adenosine TriPhosphate production. ATP is the primary energy source of the human body. Reduction in ATP leads to fatigue. This ATP production is further supported 13 through the Optygen proprietary ATPro base consisting of the precursors of ATP production, calcium pyruvate, sodium phosphate, potassium phosphate and ribose. Recovery/Inflammation: Studies on OptyMax (PN, RR) fruit extract have clearly shown reduction in the key recovery markers measured by MDA analysis, IL-6 and CK. These improved markers mean less soreness, less muscle catabolism and improved recovery from hard training. Glycogen Sparing: Studies on Eleutherococcus senticosus extract and Rhodiola Rosea extract have shown a significant reduction in glycogen use during exercise. Athletes can spare glycogen leading to improved endurance and improved substrate utilization. Glycogen Re-synthesis: Studies on OptyMax (PN, RR) fruit extract have shown a significant improvement in the replenishing of glycogen following exhaustive exercise. Improved glycogen re-synthesis means faster recovery and improved performance on back-to-back-to-back hard training days. It’s also important to note that these benefits are experienced with lower insulin levels. Lactate curve: Studies on Optygen, Rhodiola and Beta-Alanine have shown significant improvements in lactate threshold. 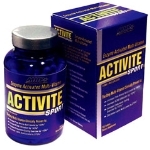 Beta-Alanine’s primary mechanism of action is to increase the limiting rate of lactate synthesis so lactic acid build up does not slow performance. An improved lactate curve means athletes can hold a faster pace before reaching anaerobic threshold. a) The amount of Beta-Alanine has been increased by 50% so there’s now 1.5 grams/serving. b) Cordyceps has been replaced with a special proprietary matrix of Eleutherococcus senticosus extract, Panax notoginseng and Rosa Roxburghii fruit extract. There are a number of new studies that have been done on endurance athletes that show significant endurance benefits. 2. What’s the purpose of this OptygenHP Prototype? When we introduced the last version of OptygenHP, it was based on all the latest research and clinical studies that was available at that time. Since then, new research and new clinical studies have become available. The purpose of this new OptygenHP prototype is to get it in the hands of First Endurance sponsored athletes for a hands-on evaluation so they can give us input and feedback, good or bad. At this point, we have not decided whether to proceed with an OptygenHP formula change. **It’s important to note that this is only a prototype and is only in an initial testing phase. First Endurance constantly reviews the latest research and evaluates the most recent clinical studies and updates existing formulas if it will improve our product line. Developing a prototype is one of the first steps First Endurance takes to determine if a formula change should be considered. 4. When will it be available? First Endurance will make the prototypes available exclusively to newsletter subscribers on March 11, 2013. We did a very small sample run of the new OptygenHP prototypes. While the majority of these samples have been given to sponsored athletes, there is a small quantity of extra bottles available. Once they’re gone, they’re gone. 5. What is the special proprietary matrix? The proprietary matrix consists of three key nutrients. 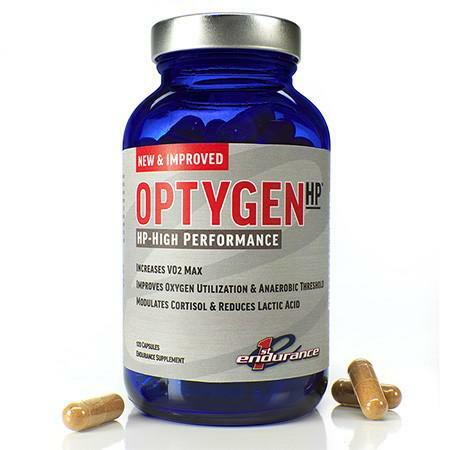 This nutrient blend is only available in the new OptygenHP product. The blend consistes of Eleutherococcus senticosus (ES) extract, highly fractionated Panax notoginseng (PN) extract and Rosa Roxburghii (RR) fruit extract.